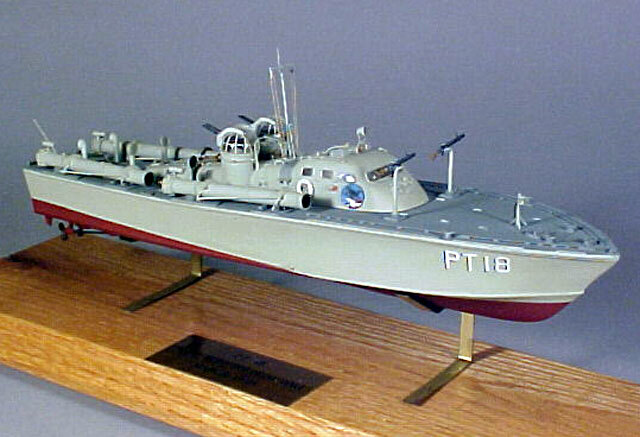 This is a model of PT 18 a 70ft. 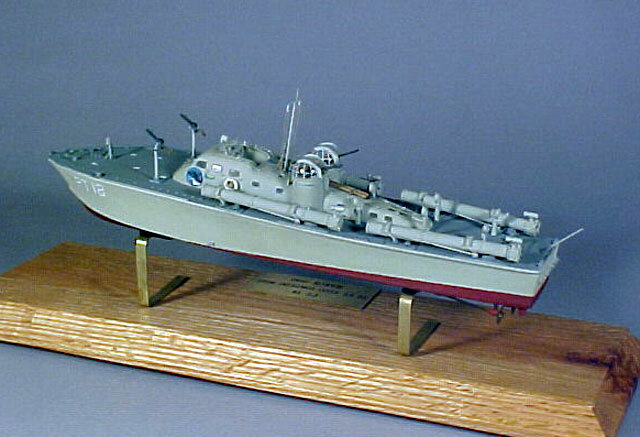 Elco torpedo boat in 1/72 scale. 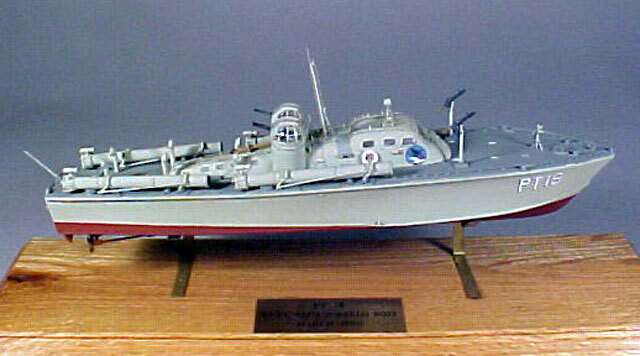 The hull is from the Airfix RAF 63ft. 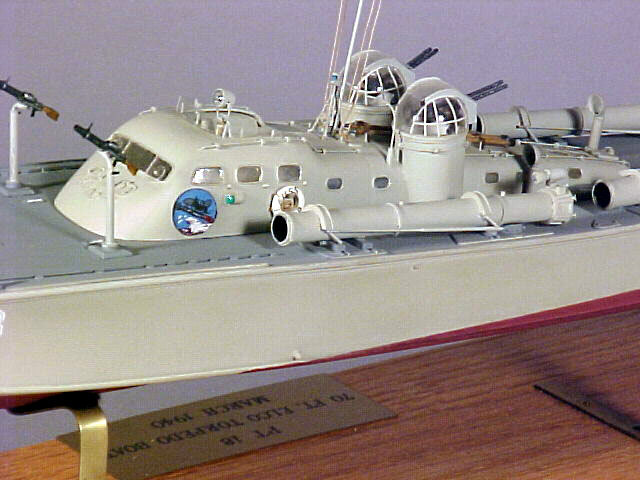 Rescue Boat kit. 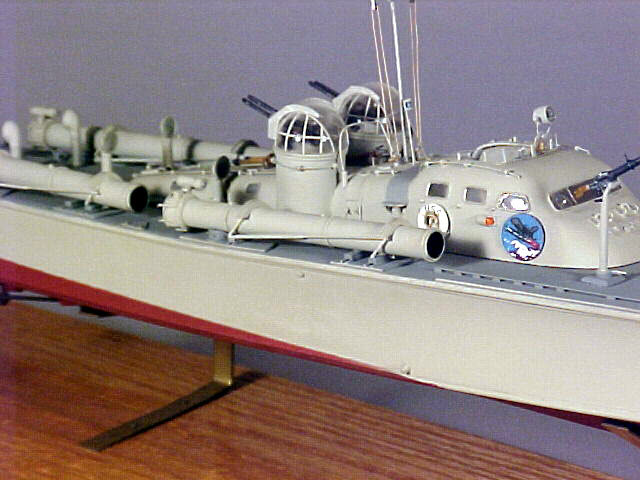 The hull was lengthened and widened. 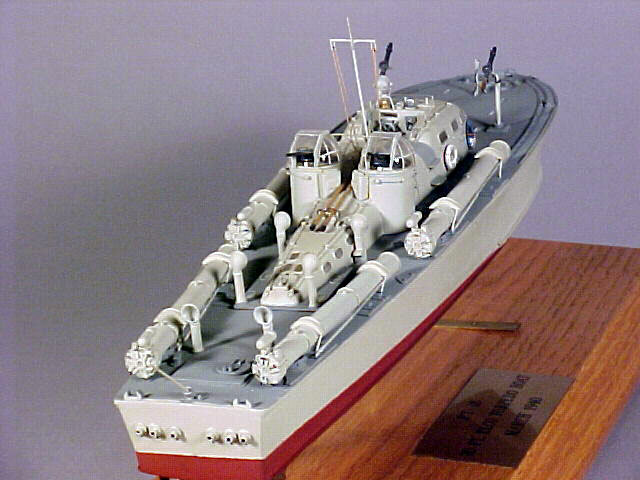 The deck is made of basswood and everything above the deck is scratch built or vacuum-formed. 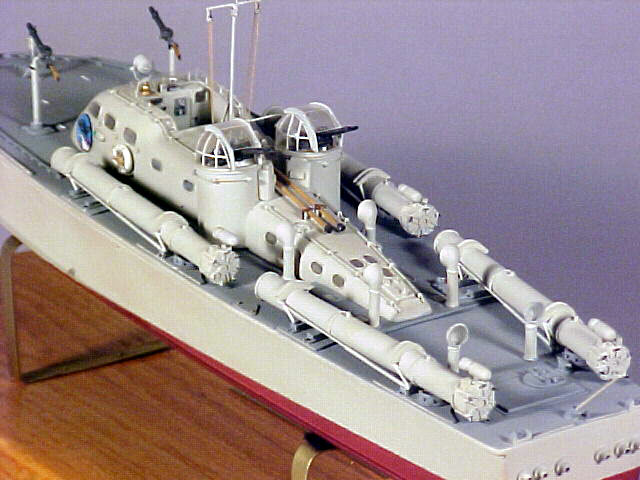 The 303 Lewis guns on the fore deck are not correct for PT 18, but could be found on some of the latter 77ft. boats, but I liked the way they looked so I added them on.